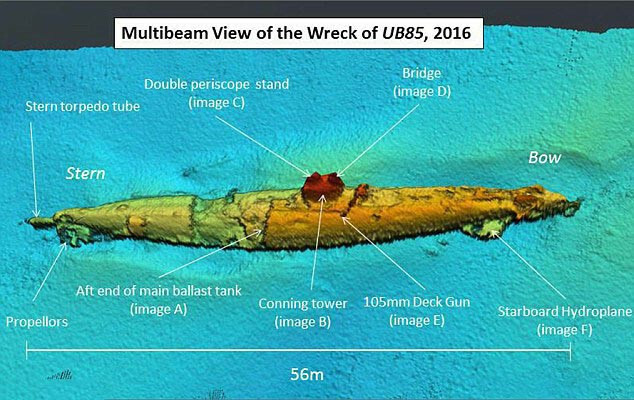 The UB-85 German U-Boat from World War I claimed they were under attack by a sea monster in one of the most unusual modern day cases of unexplained sinkings. In 1918, the German sub's crew were taken by the British and they reported that their submarine had been attacked by a sea monster that wrapped itself around and pulled the ship down. It was described as having deep-set small eyes and horns. No one believed the story of the crew, but in recent times the Scots found it on the sea bed when laying cable. Where the ship lays, no one has an interest in pursuing it, and so the mystery will continue. 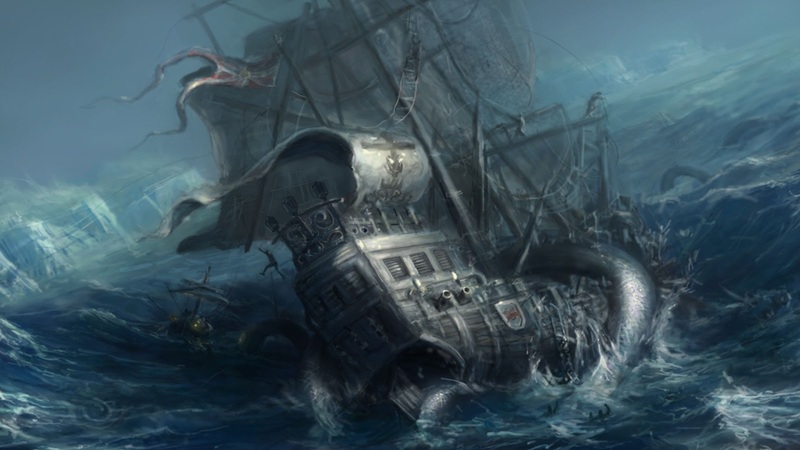 Sea monsters reported by war ships are not unusual. In fact, during that same World War I, era a British steamer called "Iberian" was chugging along the coast of Ireland. The German U-28 pursued and fired at them. The Iberian was hit and the bow went up and the stern went under. Sticking with World War I again, we go to the story of 1914 and a Captain Yeskes of the London Fusiliers. He supposedly took four soldiers to no man's land to patrol. They didn't return, so their unit went out to find them. Their bodies were found with teeth marks on their throats. The soldiers heard howling and stories passed around quickly that there was a killing beast out there in the wilds. Then, quite suddenly, the howling stopped and whatever it was seemed to move on. (LINK) The mystery was only resolved when a German scientist named Gottlieb Hochmuller was killed in a Berlin riot at the end of the war. Apparently, Hochmuller’s papers revealed a dastardly plot to transfer a madman’s brain into a giant Siberian wolfhound, which was subsequently released into no-man’s-land. This was part of a series of experiments which Hochmuller hoped would “end the war in Germany’s favor.” How even a very crazy dog was supposed to resolve a world war remains unclear. World War I provided an unusual approach by sea including submarines. This certainly stirred up the fear of the water, not knowing from where a torpedo might strike. But, it also seemed to spawn a lot of monster scenarios. 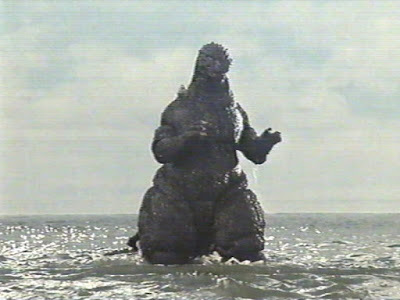 It rather reminds me of the Godzilla fascination post-Hiroshima.